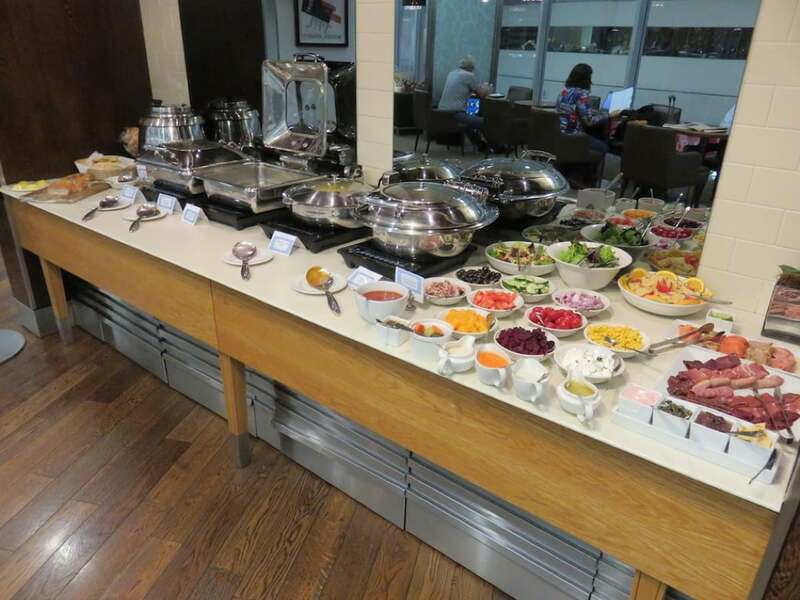 In this article, I review the British Airways Galleries First Class airport lounge at O.R. Tambo International Airport. 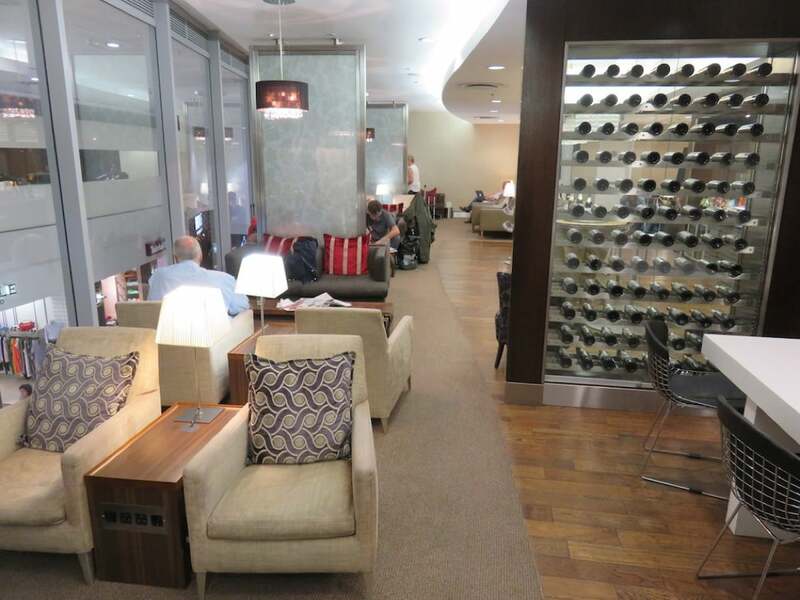 I reviewed this lounge before travelling in First Class on the British Airways A380 from Johannesburg to London Heathrow. 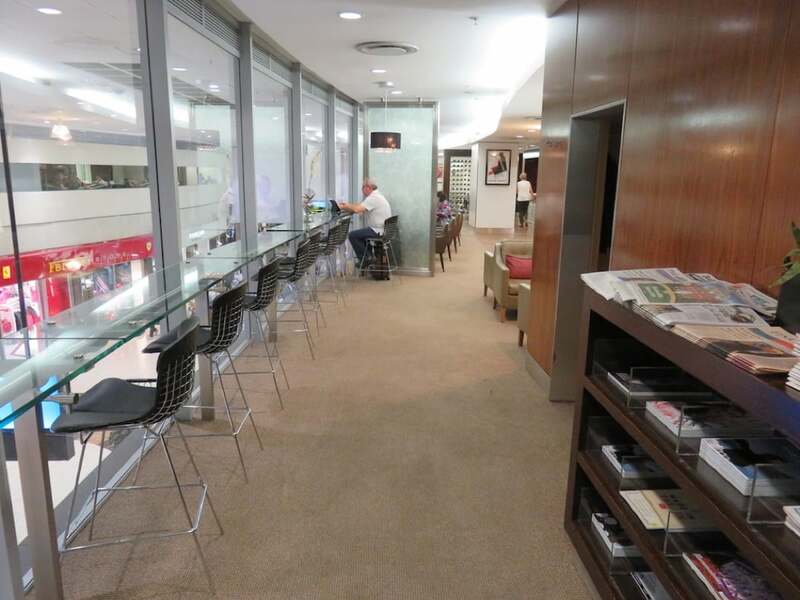 The First Class lounge or Galleries First lounge is located to the left of the small reception desk, while the Business Class or Galleries Club lounge is located to the right. 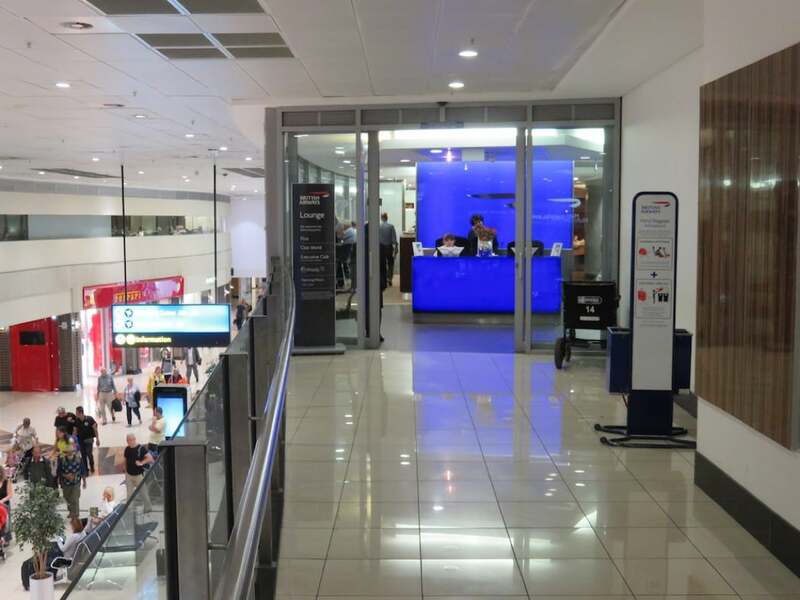 Both lounges are only open from 3pm to 9pm daily to accommodate BA’s twice daily services, one on their A380 and one on their B747 between Johannesburg and London. 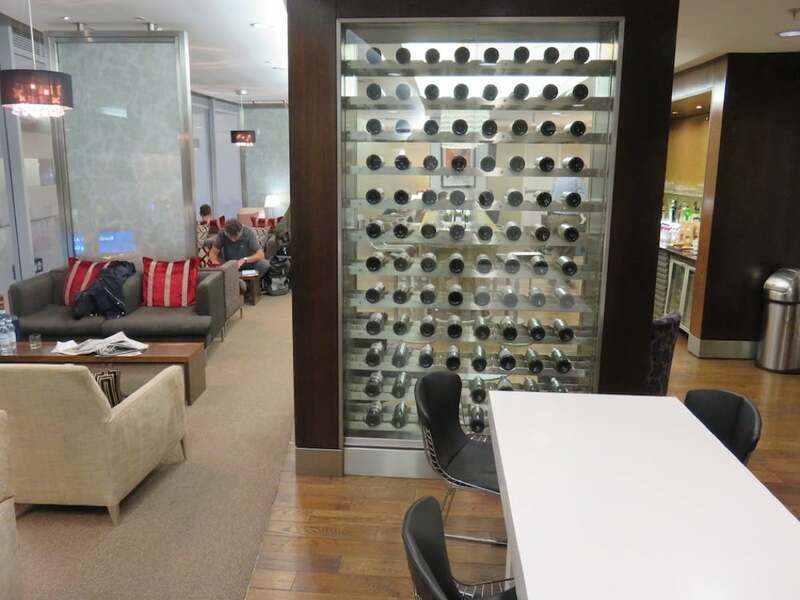 This First Class lounge is boutique in size, in fact it is rather small, but then there are not many passengers that travel on BA in First Class, so the size is fine. 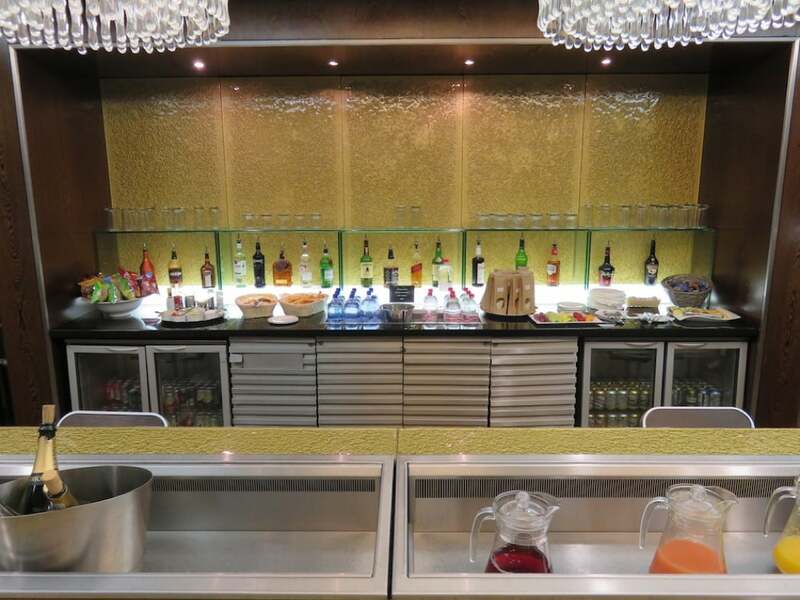 It is worth noting that One World elite members can also access this lounge. 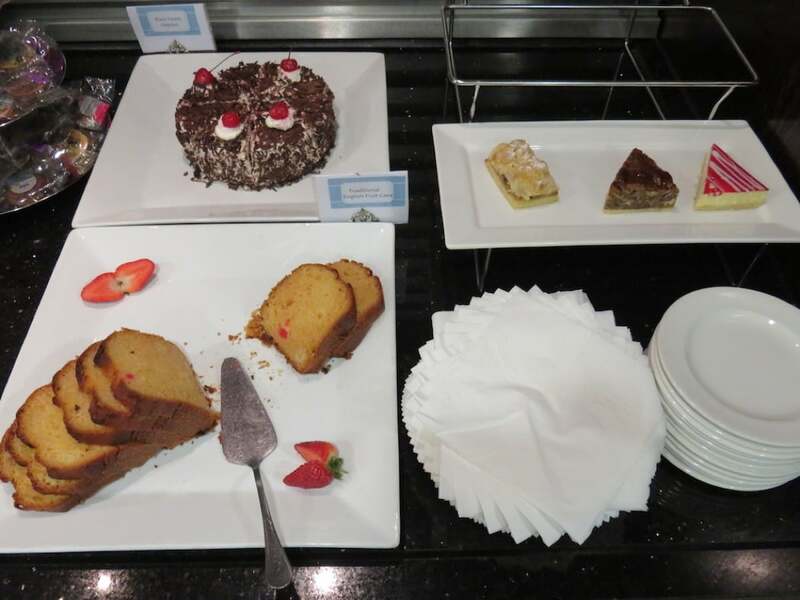 Within the lounge, there is a library with magazines, a buffet, a dining area, a large wine display, a bar with self-service cafe, and the main seating area. 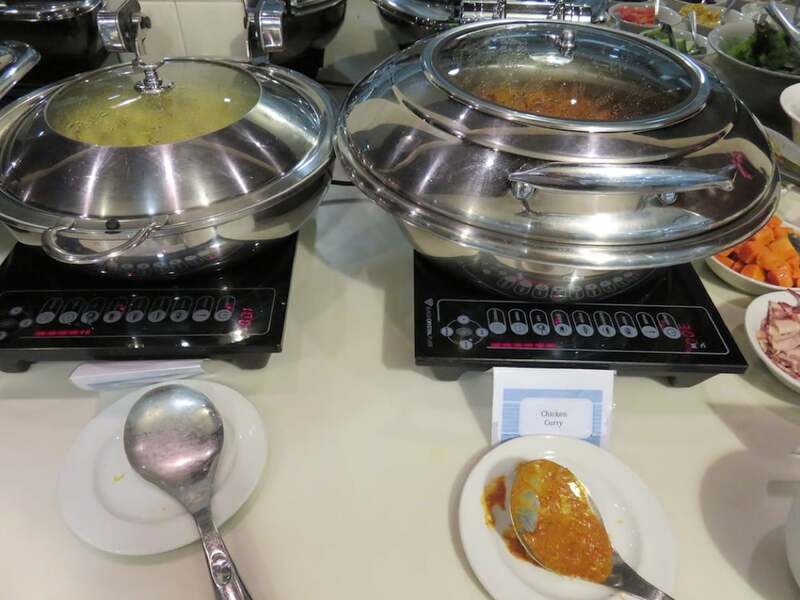 The buffet spread is not very impressive; just passable for a light pre-flight dinner. 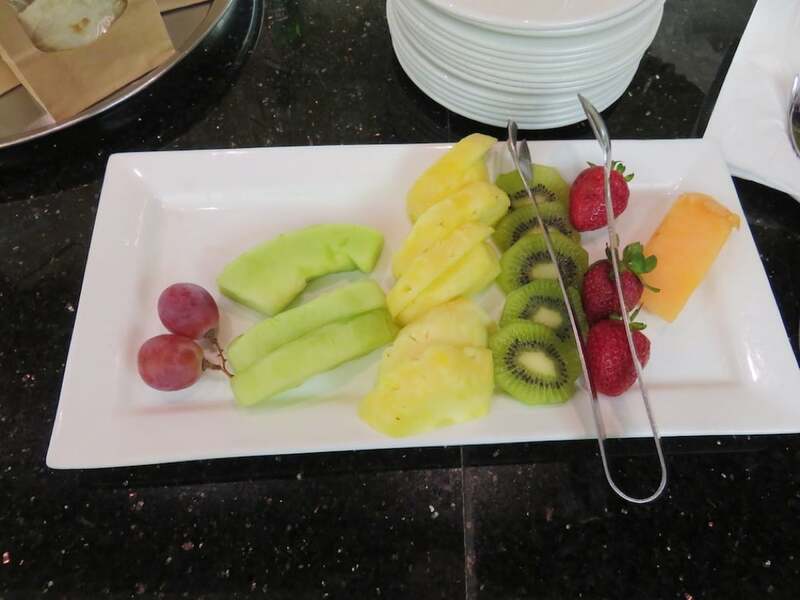 It included an array of cold vegetables (to create your own salad), cold meats, salmon, soup, and a hot curry dish, but nothing really stands out as genuine First Class food offering (and the food is certainly not comparable to BA’s First Class lounges in London Heathrow). There are also no external windows as the large floor-to-ceiling windows only offer a view of the airport terminal’s interior. 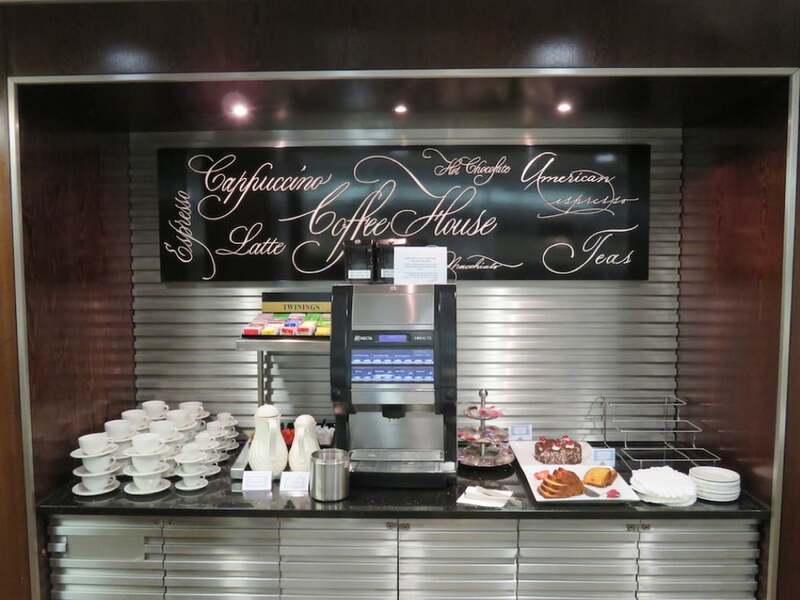 Another bad thing about this lounge is that the toilets are located outside the lounge. 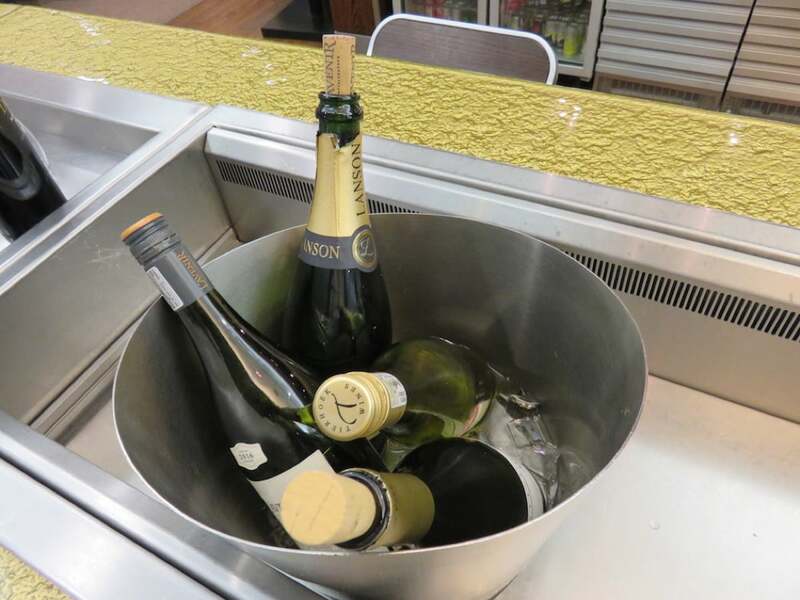 From the lounge, it was a 10 minute walk to the gate for my flight. 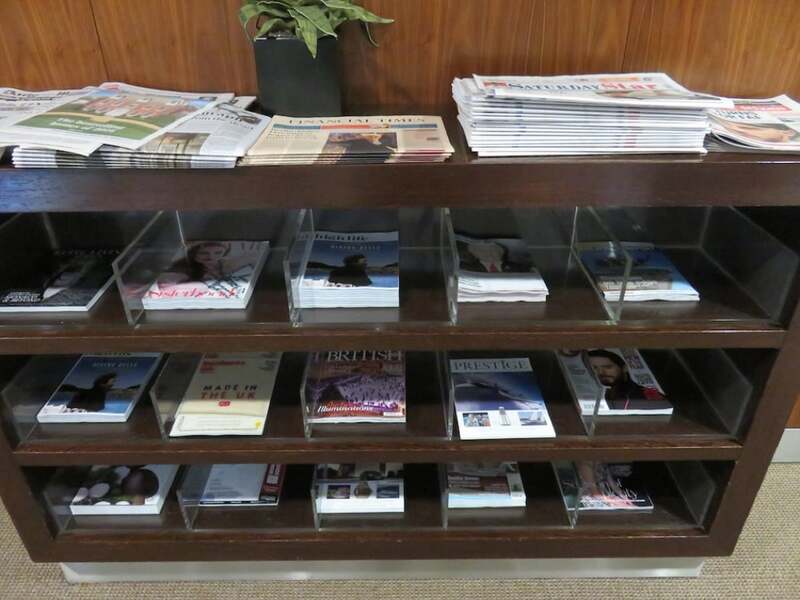 You can also read all my other British Airways Airport Lounge Reviews around the world. 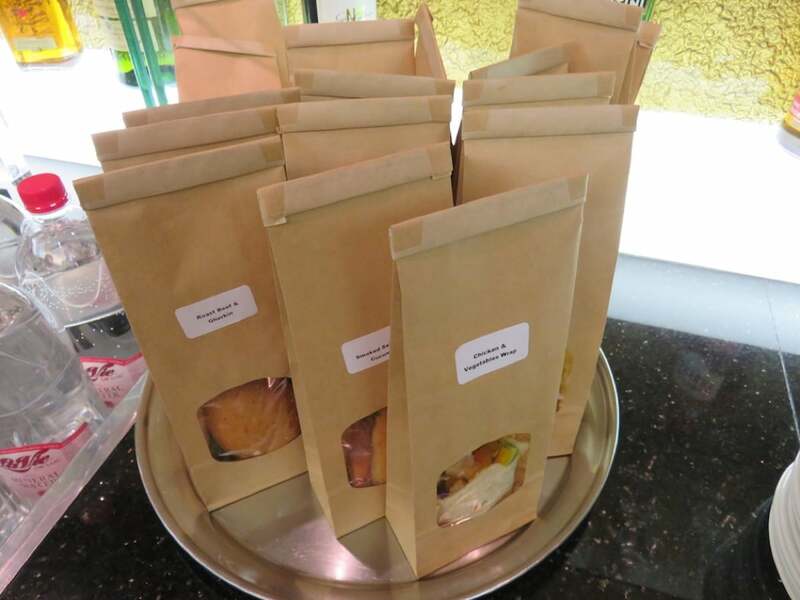 Review by my friends at Luxury Travel Expert.